We are a friendly, sociable, mixed voice choir, about 60 strong, led by our conductor, Roger Langford, and we are one of the major choirs of Gwent with an interesting history Part 1 and Part 2. While based in Abergavenny, both singers and non singing members and friends come from the broad region of Gwent and neighbouring counties. Wide ranging, classical through to contemporary. At Trinity Church, Abergavenny on Thursdays 7.15 to 9.30 pm with a refreshment break. Affiliation. 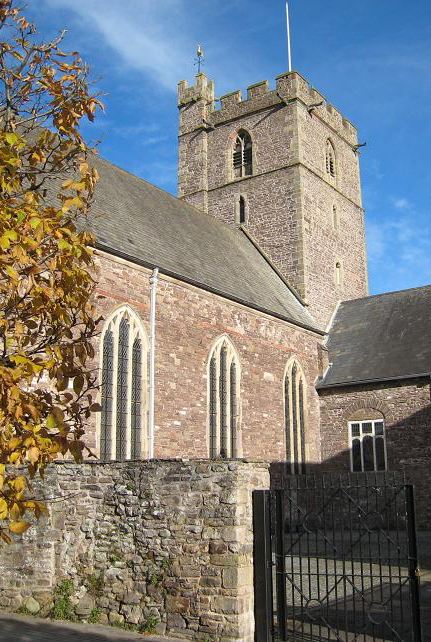 While not formally affiliated, we normally sing in St Mary's Priory Church, Abergavenny. 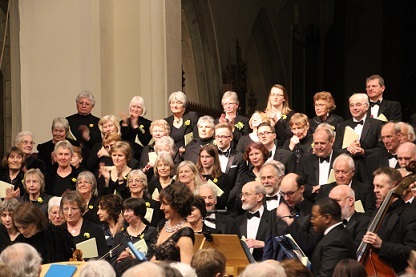 A recording of the Choir was taken at a recent concert. Mendelssohn's Verleih uns Frieden. The Choir's Charitable Object: The objects of the Choir shall be to educate the public in the arts and sciences, and in particular the art and science of music, by the presentation of concerts and other activities.